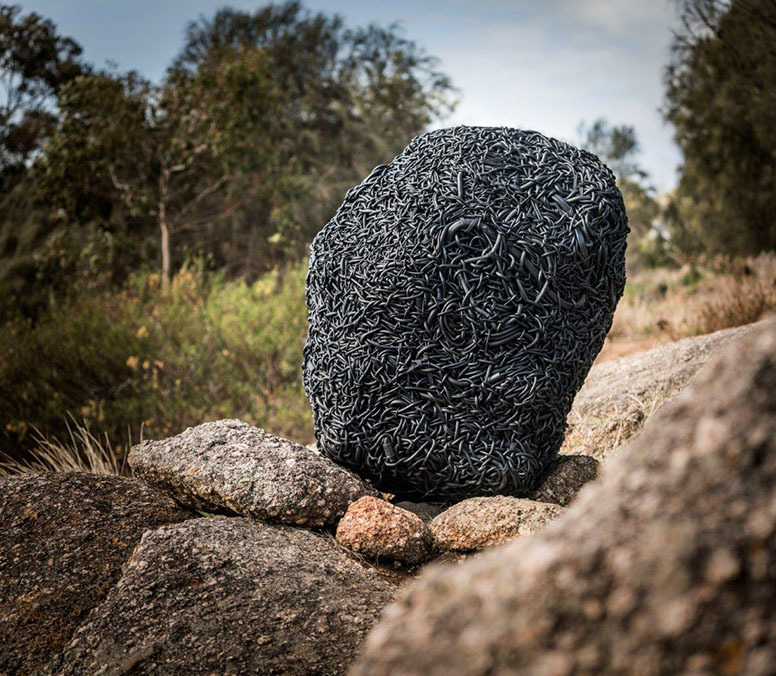 Britt Mikkelsen (WA, Australia), Ocean Lace, Sculpture Encounters, Granite Island 2018. Photo Ron Langman. Artist Statement The artist recalls beach-combing at an age when the little things mattered. Likewise, this tiny fragment found at South Cottesloe has been enlarged 700 times, revealing its fragile beauty. 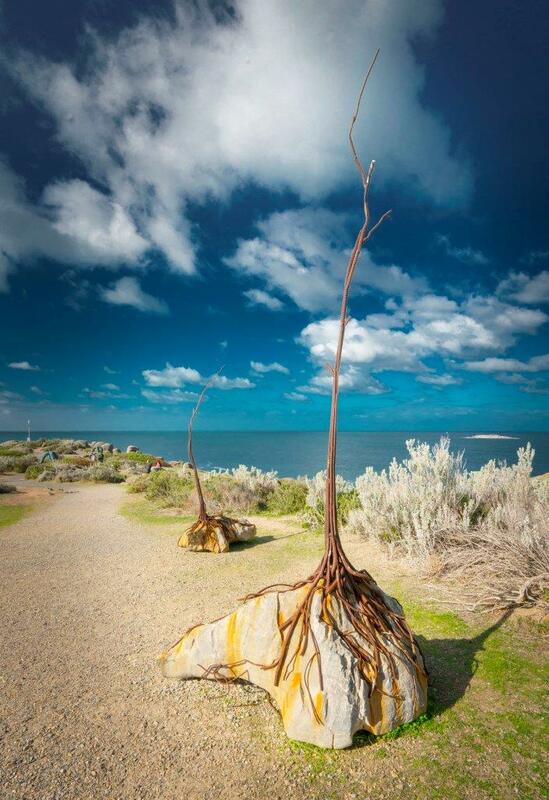 Norton Flavel (WA, Australia), And Another, Sculpture Encounters, Granite Island 2017. And Another and Another (drop in the ocean). Artist Statement A reference to the notion of significance. Peter Lundberg (USA), Adam and Eve, Sculpture Encounters, Granite Island 2018. Photo Mike Moore. Artist Statement An admission that my normally abstract work contains elements of the figure. These were my first large scale bronzes. Keizo Ushio (Japan), Oushi Zokei 2017, Sculpture Encounters, Granite Island 2017. Photo Mike Moore. Artist Statement The twisted nature of the work contrasts the horizontal line of the ocean. 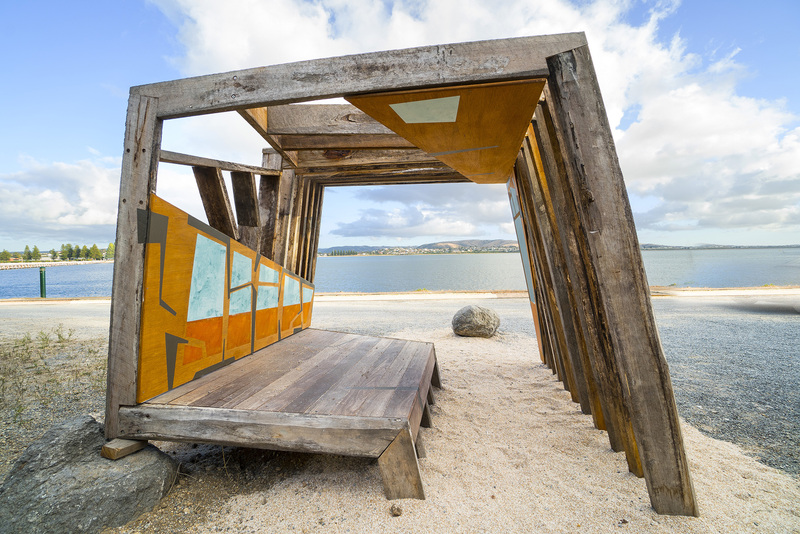 Greg Johns (SA, Australia), Horizon Figure 2009, Sculpture Encounters, Granite Island 2017. Photo Mike Moore. 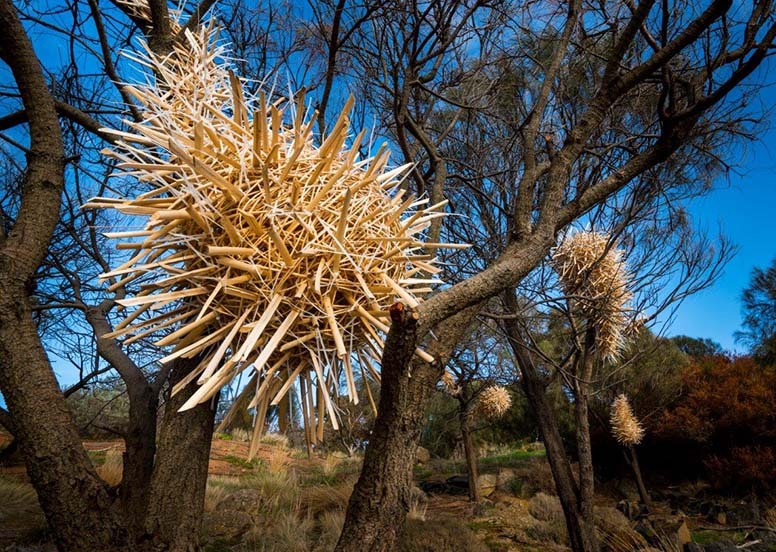 Artist Statement Horizon Figure arises from both visual and felt drawings of rock forms, creeks, fire, eroded ranges and the great horizon lines of the Australia landscape. 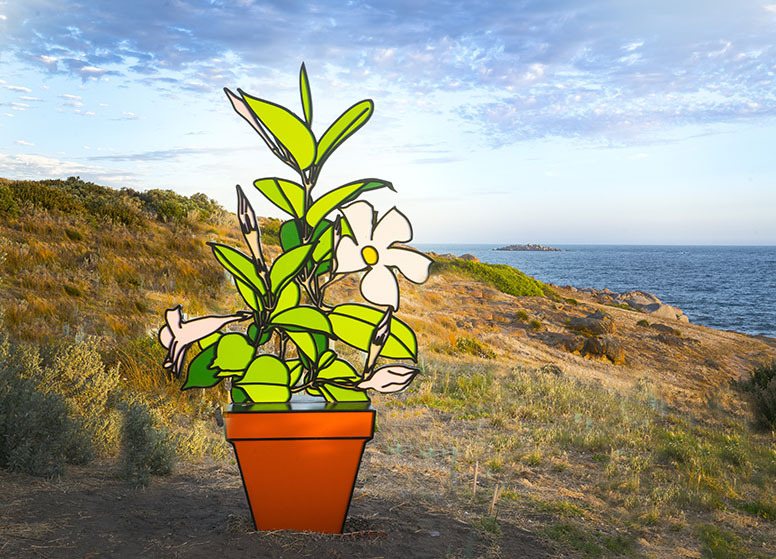 Marcel Cousins (VIC, Australia), Pot Plant, Sculpture Encounters, Granite Island 2017. Artist Statement The flower is a pictorial representation of a three-dimensional experience. Like the elements of a Japanese garden, the sculpture aims to represent an experience of nature but one that has been manipulated and highly stylised. Margaret Worth (SA, Australia), Walking Looking Talking Noppan Nukkan Yunnan, Sculpture Encounters, Granite Island 2017. Photo Mike Moore. Artist Statement This is what people do on Granite Island. And these rocks, under an old tree, provide a moment’s refuge to contemplate ‘then’ and ‘now’. An ancient practice, painting on rocks, about what’s important. The paint will fade and disappear in time, making space for something new, just as with all living things. Hamish McMillan (SA, Australia), Bystander, Sculpture Encounters, Granite Island 2017. Photo Mike Moore. 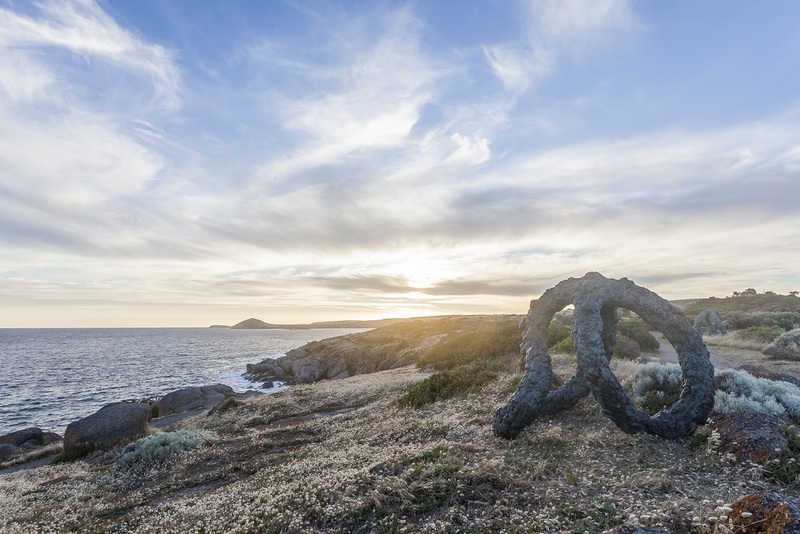 Artist Statement In a reflection of the solid masses that make up Granite Island, ‘Bystander’ invites you to sit still and take in the timeless and immovable surrounds, as if you were a rock, a witness to all that passes. 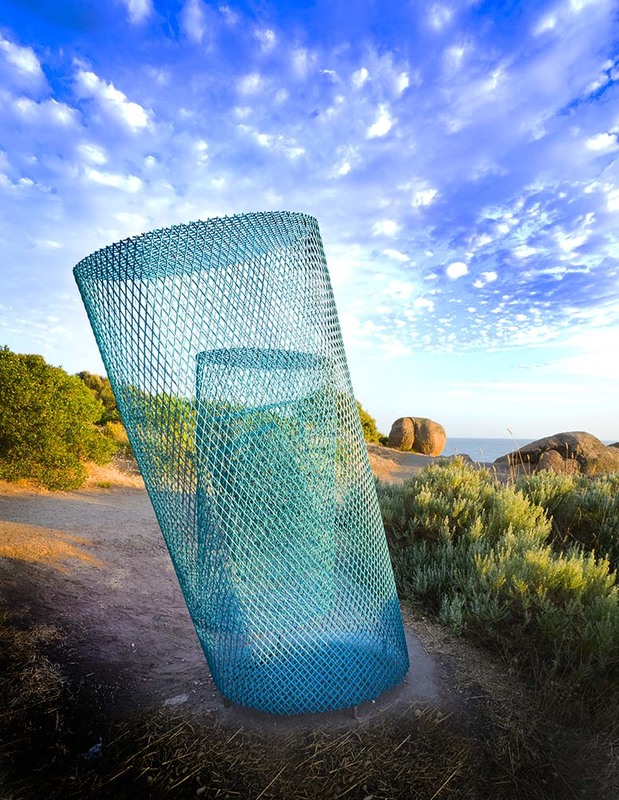 Masayuki Sugiyama (Japan), Blue Cylinder Revolution, Sculpture Encounters, Granite Island 2017. Photo Mike Moore. Artist Statement I believe that a sculpture is an interactive form of art inspired by nature. This work has six cylinders. Through shifting perspectives, each cylinder shows a variety of appearances. James Dive, What a Tasty Looking Burger, Sculpture Encounters, Granite Island 2017. Photo Mike Moore. Artist Statement Beware the fish are now fishing! Lucy Barker (NSW, Australia), Furball, Sculpture Encounters, Granite Island 2018. Photo Ron Langman. Jett Mellgren (NSW, Australia), NESTS, Sculpture Encounters, Granite Island 2018. Photo Ron Langman. 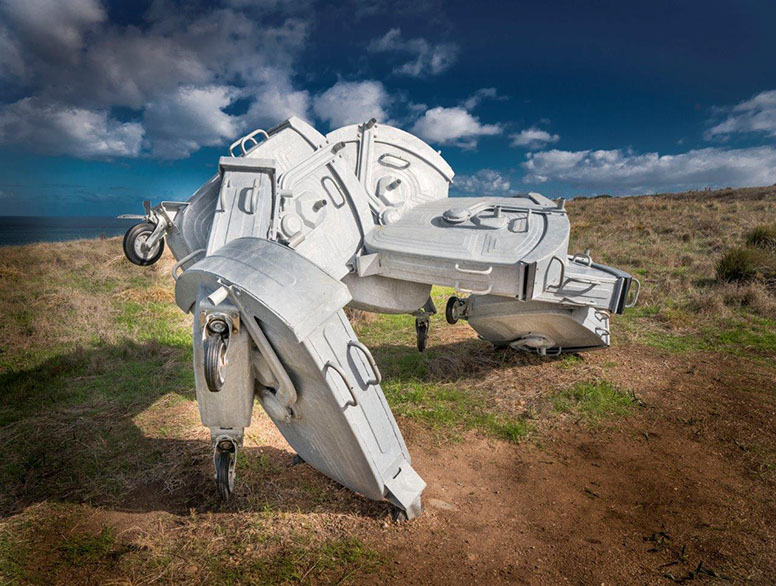 Lubomir Mikle (Slovakia), Element 0, Sculpture Encounters, Granite Island 2018. Photo Ron Langman. 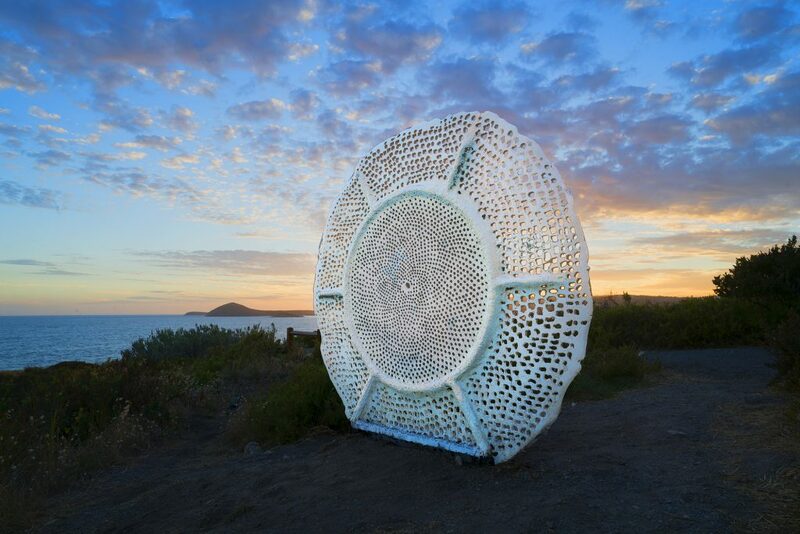 Yi Cui (China), Sunlight No3, Sculpture Encounters, Granite Island. Photo Ron Langman.